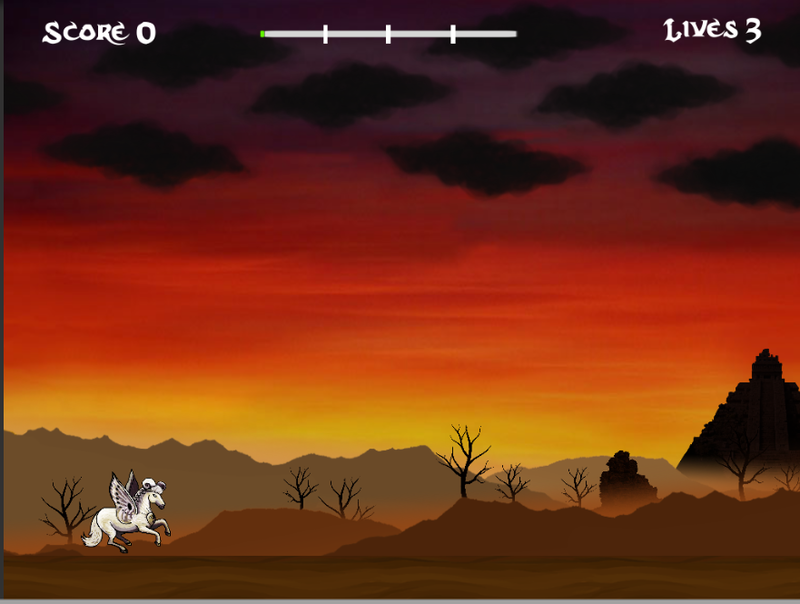 Mystic Mayas is a 2D flying side-scrolling game inspired by the 1982 arcade game, Moon Patrol and the artistic style of Leonora Carrington’s The Magic World of the Mayas. 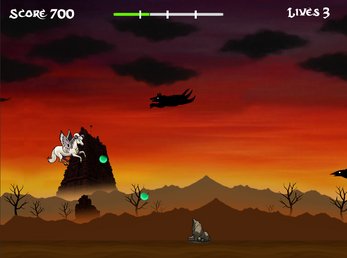 The player finds themselves inside a nightmarish world with hellish landscapes and demonic monsters. Will they go face to face with their demons or run? Download > Unzip > Play! Looks and sounds beautiful with consistent style. I had an issue with tiling probably due to auto-fullscreening to my ultrawide aspect monitor. I suggest allowing launcher and locking allowed aspects to the stuff you worked with in Unity editor. Took me a while to realise I had to press right to run and that I could fire and so I struggled a bit haha, not sure if that's what you're going for or if you had hoped everyone had played Mood Patrol. I know it's easy to forget that stuff on those super-short projects. My only real gripe is with the itch page: I would like to see credits for the audio and font authors and not just the website that you accessed them. Thanks so much Joshua for the feedback, I've updated the build with some adjustments :) Unfortunately I ran out of time to add more game play but someday I'd love to add in a few more levels and definitely a boss battle!